Lake water quality monitoring is sparse in the state of Washington, and is currently clustered in areas fortunate enough to have a strong county monitoring program. 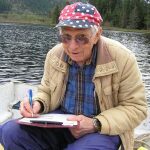 This has been the case since 2000, when the lake monitoring program run by the Washington Department of Ecology (Ecology) lost funding. 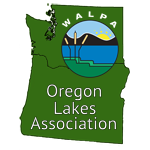 Although there are several current Ecology programs focused on lakes, including the Freshwater Algae Program and participation in EPA’s National Lakes Assessment, there is no longer an overarching program that collects annual baseline water quality data on Washington lakes. 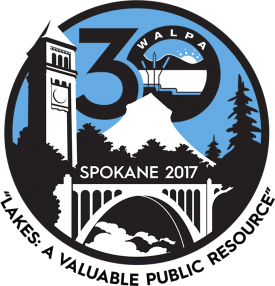 WALPA conference attendees headed to the east side of Washington in October to gather for the organization’s 30th annual conference on the shores of the Spokane River. The conference theme – “Lakes: A Valuable Public Resource” – provided an appropriate frame for numerous talks involving lake management, research, protection, recreation, and more. In the western United States, riparian zones comprise less than one percent of the total land area, yet are some of the most productive habitats per area (Arthington et al. 2010). In the Pacific Northwest, riparian zones are an essential part of the life cycle of many species, including salmon, an economic, ecological, and socially significant keystone species. 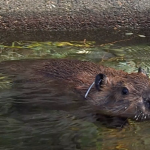 Beavers are also key inhabitants of riparian ecosystems due to their role as ecosystem engineers. Oregon and Washington join forces again! Whether you live in Washington or are just visiting, you’ll want to set aside some time for fishing. You’ll not only have a great time, but recent research shows that you’ll enjoy important health benefits too. 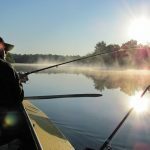 Make sure you have all of the required licenses and permits, and get ready to try your hand at landing a few of Washington’s glorious gamefish.